Superbly restored Villas for sale in Agios Markos, North East Corfu. This superbly restored villas for sale in Agios Markos, is located in a quiet location and can be accessed by a tarmacked road through Ipsos. The land on which the villas sit on, measures 7000 square meters and has been an olive grove. The current owner has restored the existing building, maintaining its character and has built a second guest house made of local stone. A gateway at the rear opens to the property where there is an old stone built stairway with wide steps and leads to the main house on the left hand side and the guest house to the right. The main house features a very spacious covered veranda, 3 bedrooms and 2 bathrooms. The guest house features a sitting room and kitchen in the ground floor and 2 bedrooms and a bathroom on the top level. The gardens are amazingly landscaped with stone walls and paved areas. The swimming is located in the front of the main house and provides plenty of paved space for sunbathing. The grounds of the property are fenced off and feature 2 gateways. The house can be accessed by either the old path or by a tarmacked driveway, where there is an electric gate which leads to a car port. 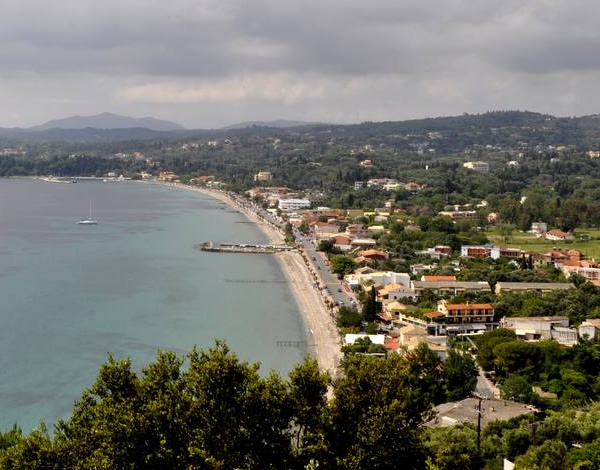 All of the properties in the Estate provide magnificent views towards Ipsos, the sea and Corfu town in the distance.